What happens if I fail a drug test after being hurt at work? 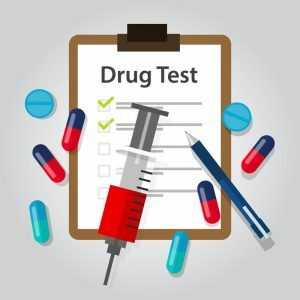 Do I lose benefits if I fail a drug test? Can I still recover Workers’ Compensation benefits? What happens if I was impaired while I was hurt at work? Failing a Drug Test at work, what happens? After a workplace injury in North Carolina, it’s not unusual for an employer to ask for a Drug Test. There are different reasons why that may happen, one of which could indeed be to try to avoid paying your claim. If you failed a drug test after a workplace injury, talk to an Workers’ Comp Lawyer right away. Do not assume you cannot collect benefits from being hurt on the job. Talking to a lawyer without delay can help you understand your legal rights. Everything you tell your lawyer is confidential. Lawyers deal with complicated legal issues. Did the impairment cause the injury? Was the “positive” on the drug test related to lawfully prescribed medications? Were the test results accurate? Was the blood draw done correctly? Were positive controlled substances related to recent or past use? LEARN MORE: How Long Do I Have To Make a Claim? Kevin Jones has been helping people in Greenville, New Bern, Morehead City, Jacksonville, and Beaufort, North Carolina for years. He focuses his practice on Workmans Compensation claims. His firm, the Dodge Jones Personal Injury Law Firm also takes on cases involving car wrecks and personal injuries. Kevin is a Board Certified Workers’ Compensation Attorney. In North Carolina, that means something. Failing a drug test after an injury on the job may or may not preclude you from getting workers comp benefits. It has to do with whether or not … first of all the test was accurate, whether or not it was something that’s reliable and can even be used in court. 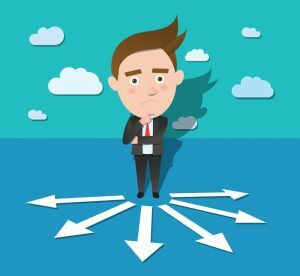 Even if it is you’re also looking at whether or not the positive result that showed up on the test is something that might have been in your system for weeks or even months as opposed to something that was in your system that was causing you to be impaired or intoxicated at the time that you were hurt. s somehow a cause of your injury. If someone is injured and it has absolutely nothing to do with any possible drug or alcohol in their system, then that’s not something that can be used or should be used to deny the claim. They may try to use to deny the claim but that doesn’t mean that they’re correct. In other words, you’re a passenger in a vehicle and you’re in a company vehicle and you’ve got alcohol or some other impairing substance in your system and it pops positive but you’re the passenger in the truck. The company trucks rear ended at a stop sign on the way back from an out-of-town job, that’s not a basis to deny the claim because the impairing substance had absolutely nothing to do with how you got hurt. MORE INFO: Can I Collect Unemployment and Comp Benefits at The Same Time? That’s the other aspect of it that people don’t realize … it has to have some relationship to the injury, has to be a cause of the injury. If it’s not, it doesn’t matter when it comes to whether or not the claim is covered. If you have questions like this one or any other question feel free to give me a call. I’m happy to sit down with you and see what I can do to help you in your case.